With its flexible 8-channel SD/HD and 6-channel 3D/1080p configuration, the new generation of XT servers combines EVS’ world-class speed and reliability with ultimate capability and performance. XT3 integrates today’s top IT and broadcast technologies offering broadcasters and producers unparalleled motion control and adaptability. The XT3 is the first server to natively support such a wide range of codecs without requiring hardware changes, allowing production teams to easily select amongst different compression schemes they want to use throughout the entire edit process. 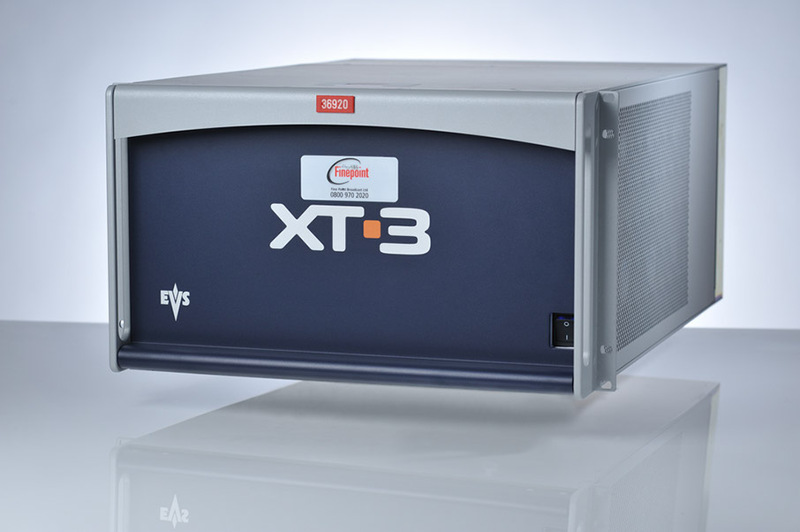 Designed to boost broadcasters’ live and near-live production capabilities, XT3 provides operators with the highest available level of bandwidth, flexibility and control. XT3 Mainframe with Multicam Software installed. 2 x Control Panel, 4x DB15 to XLR cables, 2 x panel 9 pin cable, keyboard, 3 x mains leads, USB keyboard extension cable, and VGA to BNC lead.